YouTube has become a global platform where people share their videos. Making videos and uploading them online was a hobby once, but now many people have begun to choose this is a career. Today, we look at vlogger equipment and what you need to get started. People are vlogging about the things they are passionate about. It could be about various hacks, cooking recipes, reviews of games and films or even small skits made for entertainment. While creating videos may look fun, it’s not as easy as it looks. Maybe a few years ago you would have gotten away with videos made on your smartphone, but today the competition has increased substantially, and people only like to watch videos with good sound and picture quality. The good news is, you do not have to have a lot of technical know-how to produce good quality content that people will enjoy. You just need to have the talent and the means. To become a successful vlogger, you need to start making videos with high quality, and you cannot achieve a high quality unless you have the right equipment for that. A lot of people think that all you need is a camera and you will be making videos is not time. Yes, you will be making videos with that, but it will not have the sound quality that will get people to watch them. If you want to become an official vlogger, there are many things you will need, and that includes the essential video equipment. If you do not have any knowledge about that, don’t worry, because we are providing you with the list. Here’s a list of the vlogger equipment we recommend you get to take full advantage of jumping into this space. Of course, the first thing you will need is a camera, how else will you record the videos! But it is not just any camera you need. Sure, any camera will record a video for you, but you do not want just any camera. There are different types of cameras that perform different functions with their different features. 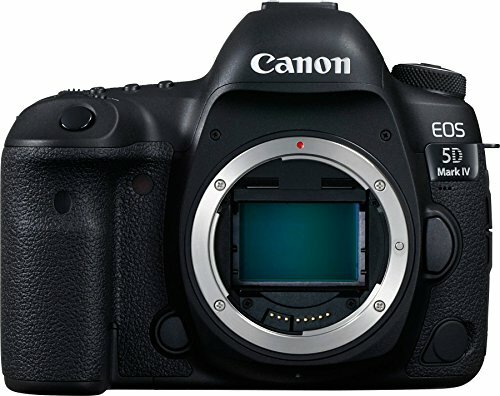 It is not the most expensive DSLR you need to buy. You will just need anything that can record high-quality video that is at least at least 1080p. If you are just starting out, quality camcorders or webcams would be enough. DSLRs and mirrorless cameras would prove to be a good investment for when you want to upgrade, which will be soon. Whatever camera you need depends heavily on the type of Youtube content you are looking to create. Check out cameraseals.com to find out more about cameras best for making videos. Have a look at some types of cameras you can get. DSLRs are favored among most filmmakers and not only vloggers because they provide high-quality results. They can adapt in low light situations and provide with polished video recording quality, which makes them an excellent choice for creating videos. DSLRs can be pricey, but they are worth the investment if you take photography and videography seriously. If you want to buy a camera that has an affordable price, plug-and-play, and will probably need to record in front of your of their computers, you can buy a webcam. It is more suitable for people who are gamers and just want to post game reviews and walkthroughs. Live streaming is also easier with webcams because you can connect them directly to your computer. When we talk about the most compact and versatile type of camera, action cameras top the list. People who are interested in capturing their travels or extreme sports adventures can do better with these cameras. They are of a small size, but can produce the highest quality videos and are highly durable. Camcorders are specifically designed to record videos, so they are a great choice for you as well. Modern camcorders come in a more compact and lightweight body, with their prices quite affordable. They can handle almost any shooting situation and prove useful for on-the-go vlogging. If you have ever filmed even one or two videos on your mobile phone, you would know how much space videos take, even if they are of a few minutes. And when you are filming high-quality footage, you will need double the space to store that. For that, you should get a decent memory card where you can store your videos on. You can find such SD cards on the market that also suit your budget. 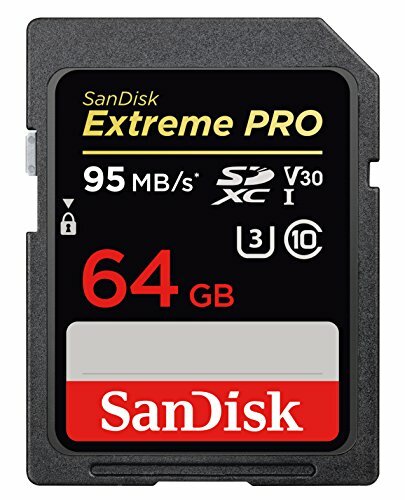 SanDisk Extreme PRO 64GB Class 10 U3 SD Card is a good option and comes in at a very attractive price point. 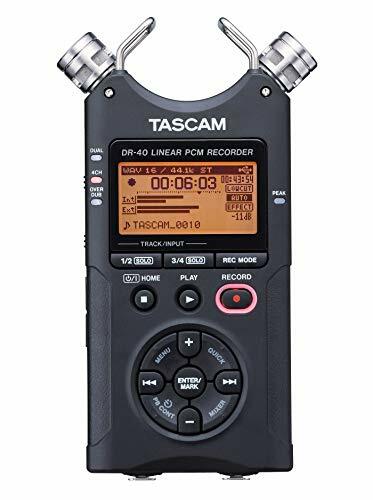 If you are working with professional XLR microphones, then you will need a portable audio recorder, such as the Tascam DR-40 or Zoom H4n. An audio recorder will also lets you avoid the low-quality preamplifier that is found in DSLRs and some other compact cameras. So, you can record higher-quality sound. You will find a lot of portable recorders with built-in microphones, that can give you good results if you position them close enough. Every photographer has a tripod because it is super handy and you do not need to hold your breath every time you are taking a steady picture. Just like a blurred picture, shaky footage is not good if you want to get in professional video production because your viewers can get distracted. Tripods and gimbal stabilizers are used for stabilizing your camera. You can choose either of these to increase your videos’ production value. 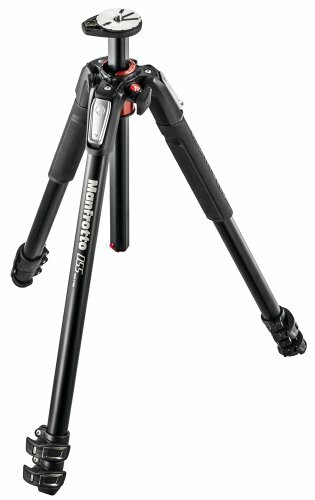 Usually, people go with a tripod is because of its affordable prices and helpful nature. They mostly depend on how heavy your camera setup is, but it is always better to get a sturdier tripod so it can last long and your camera equipment stays safe. When you start making videos, do not make the mistake that many other people make; ignoring the voice quality. While we are busy with making the video, we sometimes forget that our voice quality also needs some focus and work. Your audio quality has to complement your video, or else people may not take it seriously. Even if your video quality is great, you will have trouble keeping your audience entertained if the voice quality is poor. Camera microphones have bad audio quality as they need to eliminate ambient sounds effectively, which they cannot, which is why you will need a good microphone. A lot of vloggers use Shotgun microphones as they can provide you with high-quality video recording. 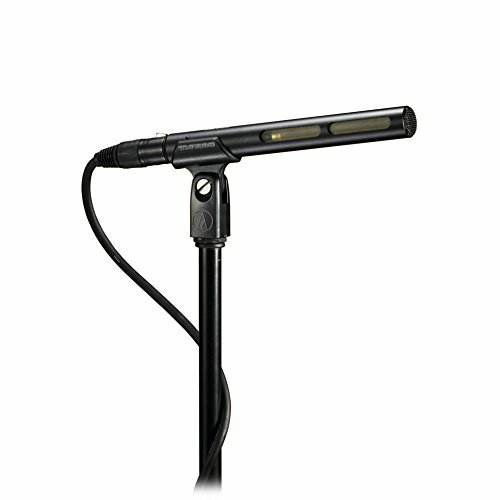 Their shock mounts help reduce any background noise that comes from vibrations around the mic. It will also capture clear sounds and vocals directly, and all the ambient sounds on the sides will be removed. Yes, your camera may have the ability to adapt to the lighting, but that lighting is not going to be good enough for the videos. You need lights that appear natural, especially if you are shooting indoors and in dimly lit areas. For that, it would be better to get lighting equipment. Even within ambient light, lighting equipment will enhance the mood and even out the brightness as sometimes too much light can be problematic as well. 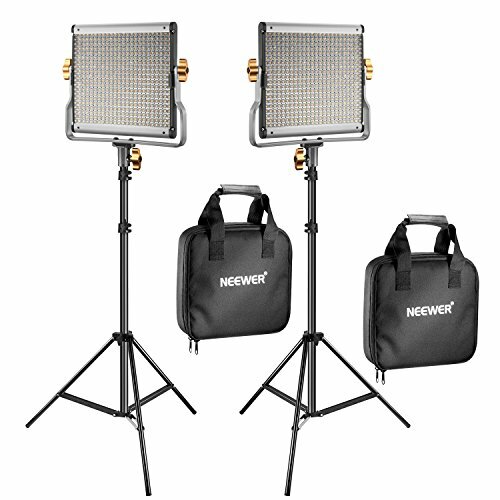 There are various types of lighting equipment you can use for recording videos. A ring light is not only being used by vloggers, but by many other people too. It is a great source of light if you want to take selfies/pictures, and for women, it is the perfect place to apply their makeup. The ring shape emits light all around the subject, and all the shadows are removed. In short, this light will make anything or anyone look great in front of the camera. This is why beauty and makeup vloggers are also using this light these days. Umbrella lights are also a reasonable solution for video makers because it is portable and emits soft lighting. You can create a more controlled lighting atmosphere as the light is reflected from the interior layer of the umbrella. There is no diffusing sheet, but the umbrella can cover a large space. People usually use them for photography sessions. So you have all the equipment such as camera and lighting equipment ready, and are done actually shooting your video. What to do next? It’s not just the hardware you’ll require. You must also find good video editing software for the post-production phase. You can get YouTube’s video editor but having your own software will be much better. You will have more freedom to adjust your videos, and the features will be more in number. Adobe Premiere Elements 18 is a nice choice for videographers. You get to have usable tools and a large variety of editing options such as video trimming, freeze frames, animations, bounce-back effects, and much more. Good editing software will give your video the professional touch that it needs. With all of this equipment, you will be able to create some great quality videos! Henry Taylor is an IT expert and a researcher. He is obsessed with all the digital accessories and photography. He takes a keen interest in Vlogging and loves to share his photographs on Instagram. He regularly posts at Cameraseals. Best Surveillance Camera: Which Camcorder is best for Surveillance? A great list of resources, thanks!